January 2017 Newsletter- Updates From Glen Allen Grounds! Happy 2017 Glen Allen Grounds customers! We hope everyone is off to a great start this new year. As we enter the back half of January, we wanted to reach out to everyone to bring to their attention our exciting 2017 plans and goals, updates on our business, and what we have been up to over the past few months! We were fortunate enough to get a small snow storm a few weeks ago! 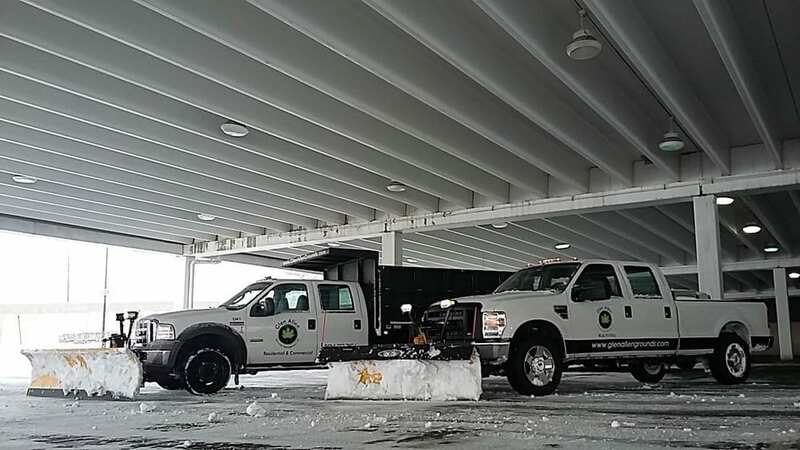 We had the opportunity to work for some great contractors with snow removal, working at Regency Mall and the VCU health building in Short Pump. Having gone from 2 trucks with only 2 drivers, to 3 trucks with 4 different drivers and adding in some hand labor work, we had a great weekend and new experiences behind the shovels and plows. Snow does limit our ability to perform maintenance work on our residential properties, as we essentially had to take a week off from visits while we let the snow melt and properties dry out. We have gotten back into a normal groove, making sure we hit everything this week. We appreciate everyone’s patience and understanding as we continue to progress through January. Our training with our field guys, specifically our grounds maintenance division, has allowed us to put Glen Allen Grounds in a better position to service our customers. Effective immediately, our President Will Lane has moved into the office permanently, and will oversee and direct our entire grounds maintenance division. He will be able to provide routine property visits and address any issues you may have, including enhancements or additional services you wish to have performed at your property. Glen Allen Grounds is also implementing a new service software that will allow us to communicate with our foremen in the field, as well as better communicate with you as a customer. There are a couple high profile features this service will equip us with to set ourselves apart from other companies in our industry. We will be able to send notes from our meetings with you, or your service specific requests to their smartphones on the fly. 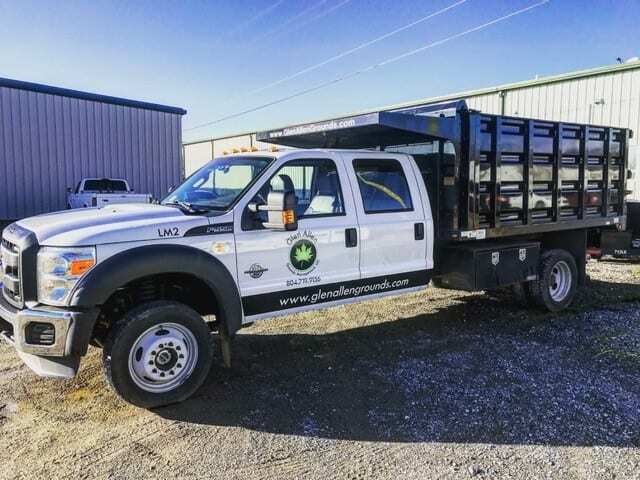 Another cool feature is if, for example, you would prefer to receive a quote from us for mulching, just walk outside and notify our on-site foreman. He’ll enter the information into an app on his phone which will notify us of your request, as well as email you saying we’ve received a quote request from you, and it’s on our radar for the immediate future! This will allow us to tackle items on the current or next visit, avoiding an additional trip and performing the tasks more efficiently. We have plans to add more man power and more crews to cut down on service lead times and become more efficient with the work we have during the week. Our new landscape truck is already lettered up and ready to go! Having said that, we also want to make everyone aware of mulch season, which, believe it or not, will be cranking up soon! If you are interested in us mulching your property this year, we ask that you please contact us quickly so that we can provide an estimate (if applicable), or get you on the schedule. We always fill up fast come March! On a personal note, 2017 is a big year for our owners! Will Lane and his wife Allie are expecting their first child in March of this year! We are very excited to welcome baby Lane to the Glen Allen Grounds family. Eric Ellington will be tying the knot with his fiancé Tiffany in April as well! Our crews will be ready to go in Will and Eric’s absence during these exciting times. We thank everyone for their continuing support and look forward to a great 2017 with you! Welcome Summer ’17- An Overdue Blog Post!